Home / FAQ / How To Pass A Credit Check For A Mobile Phone? Consider choosing a cheaper mobile phone. – The more expensive the phone; the higher the chance of refusal. iPhones are the toughest phone to get for this reason so try and avoid the premium devices. Better still choose a SIM only deal where no handset is included. Ensure you have a proper bank account. Many people with poor financial history don’t have a bank account with a credit or debit card. This is essential for taking out a pay monthly phone. Ignore some of the myths around credit scoring. Blacklists, previous tenants, multiple checks – there are many myths about credit scores and we've heard them all. Familiarise yourself with the main ones here. Getting credit can be instrumental to many people. If you don't have the cash to lay down on anything from a new car to a house to a mobile phone, you will need credit in order to pay in instalments. That could mean paying a mortgage, a car payment, or a mobile phone bill. But if you're young or you've recently moved to the UK, you might find that you have problems getting credit. That's why we're taking a look at how to get credit for the first time. Credit basically means borrowing money. You're probably not intending to directly borrow money (although perhaps you need a loan). However, you might want to buy something that you don't have all the cash for, in which case you'll pay for the item in instalments, and this is essentially borrowing money. From a house to a car to a mobile contract, a company can choose to give you credit so that you don't need to find the full purchase price for what you want immediately. There's a catch though: obviously, the company in question will want to know that you're going to pay the money back. How does this work? Well, a company will look at your credit score. If your credit score is good, then the company will likely lend you money. If it's bad, they might not lend you anything. Your credit score is a rating based on your financial history. If you've borrowed money in the past and repaid it, if you've paid bills on time and generally been sensible when it comes to finances, your credit score will be good. If you've missed payments, made late payments, or had legal proceedings taken out against for financial reasons, your credit score will be bad. There's a problem here, however. If you're very young, or if you've recently moved to the UK, then you won't have borrowed money from UK institutions or had a chance to show that you can pay bills on time. Essentially, you have no credit history. This means that your credit score will be zero. So when a company you want to borrow money from looks you up, they won't be able to see if you're a good risk or not. This means that companies may not lend to you at all, or may want to charge you hefty interest rates to borrow. If you're looking at borrowing or signing that car deal or mobile phone contract, then you're going to want to build a credit history. A good credit history will show you as a good risk, meaning you're more likely to be able to borrow and more likely to get low-interest rates. You will have to be a little patient, since building a credit history will take time. Ideally, you should take three to six months to start building a credit history, though some companies may need longer. A year of credit building should work for pretty much anything though. Building your credit history is pretty simple. Your first step should be to open an account with a UK bank. Put some money into your account, and make sure that you don't get overdrawn (take out more money than you have). Your account will come with a debit card, so use this responsibly! Once you have a bank account you can apply for a credit card. Some banks will allow you to get a card with your account, but in many cases, you won't be allowed to if you don't have a credit history or if you don't have a certain amount of money in your account. If you can't get a credit card through your bank, you can apply for one elsewhere. Directly through a credit card company like Visa or Mastercard, or through a shop, or just look around online. You'll probably find that as a new customer with no credit history you will only be offered high-interest rates, but this doesn't matter for now, just get the card. Now, here's the key part. You must use your credit card for purchases (a couple a month is fine), but you must ALWAYS pay off the balance on your card at the end of the month. Do NOT let the balance roll over to the next month, pay in full and on time. This is why the high-interest rate on your card doesn't matter since you won't have to pay any interest if you're paying off the balance on time. It's important to realise that the only way you will get a good credit rating is by doing this. If you feel that you can't handle this and will be tempted to spend more on your card than you can afford to pay off monthly then don't get one! Missing payments or late payments will give you a bad credit rating. You should also set up a few direct debit payments from your bank account. Household bills like electricity and gas are usually good direct debit payments. This will show that you're using your account, and since a direct debit payment can't be late or missed (as long as there's money in your account) will help give you a good credit rating. Signing up for a 12-month SIM-only plan can help you improve your credit score. Even though there's no credit facility involved, a SIM only contact is a way of borrowing. The network gives you a bundle of texts, calls and data each month; and you agree to pay for it in full when you receive your monthly bill. When you pay on time, you will be adding positive information to your credit report. Of course, if you miss a payment then this can have a negative impact on your credit score. This only applies to SIM deals with 12-month tie-ins, and not 30-day rolling SIM deals that do not require a credit check. Having Missed or Late Payments on Your History: If you do make a mistake and miss payments for bills or make them late, this can make your credit rating so bad that no company will lend to you. If this is the case, you should wait a few more months and ensure that you're making all payments on time before trying to get credit again. 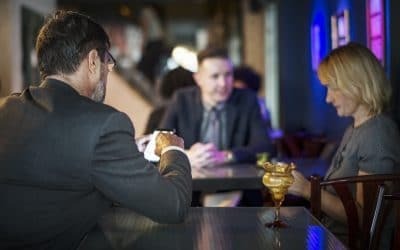 Having Financial Links to People with Poor Credit: If you are financially linked to someone that has bad credit (your partner, ex-partner, or parents perhaps), you may be denied credit because a company can check not only your credit rating but also the rating of someone you're linked to. This isn't a question of relationships, there will need to be an actual financial link. Perhaps someone has used your name to apply for a credit card or to put on the mortgage deeds of a house. If you are having trouble getting credit financial linking is something you should look into. This information should be shown on your credit report. How Do I Know My Credit Rating? Your credit rating will change over time to reflect how responsible you are with your finances, so it's worth keeping an eye on that credit report at least once a year. But pay your bills on time and you should find that your credit rating gets better over time, meaning you're more likely to get credit, and you're more likely to get low-interest rates. Building a credit history isn't difficult, though it does take a little time. But if you want to borrow money, either now or in the future, you don't have any choice. So start building your history now, the sooner the better. 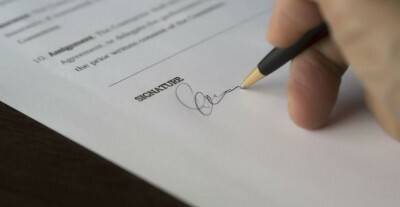 Why Doe a Contract Phone Require A Credit Check? We'll start at the very beginning of the story. Why did you need to undergo a credit check in the first place? Any time money lending (in this case a free phone) is part of a contract, the company that you're doing business with (whether that's your mobile phone operator or a used car dealer or anyone in between) has the right to request a credit check. This means that the company gets to look at your credit history. There are three main companies in the UK that keep credit reports on consumers: Experian, TransUnion, and Equifax. These companies keep track of how much debt you have, which credit cards you hold, whether or not you miss bill or mortgage payments if there are any legal proceedings that affect your finances, and all kinds of other things. 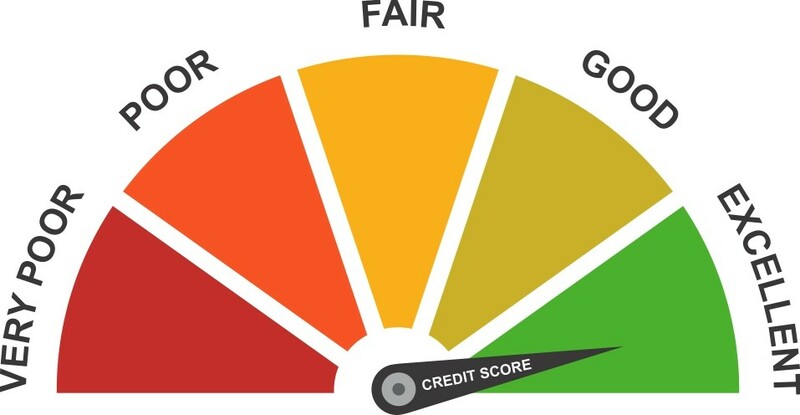 Based on this information, a credit report shows whether or not you're a good or bad risk. Companies check your credit report to see if it's safe to lend money to you. But Why Have I Been Refused? There are a number of underlying reasons why your credit request has been refused, but essentially it's because the company thinks that you're not a good credit risk. They think that if they lend you money (or in the case of a mobile operator give you a phone that you'll then pay for in instalments), that there's a good chance they won't get their money back. Possibly this is because you really are an unsafe risk, you haven't proven that you're able to reliably pay back debts. Maybe this is because you already have too much debt. Perhaps there has been some kind of fraud committed in your name (which isn't your fault). Regardless of the reason, there is a certain process that you need to go through if credit has been refused. The absolute first thing that you need to do is to stop and wait. Do NOT apply for any more credit (no new credit cards, no applications to other mobile operators). Until your problem has been solved the chances are that any further applications are also going to be denied, and this will lower your credit rating even further. So put everything else on hold until you get to the bottom of what's going on! Real Bad Credit: Your credit report shows that you have missed payments, that you have a lot of debt, that there are legal proceedings affecting your credit (bankruptcy declarations, etc). False Bad Credit: Your credit report reflects things that shouldn't be there, this is particularly true if your report is linked to an ex-spouse or a family member or parent. The items on the report are true, but they shouldn't be on YOUR report. Fraud: Your credit report reflects things that shouldn't be there, credit cards you never applied for, etc. Essentially, you have been the victim of identity fraud, and someone else is using your name to apply for credit. Missing Information: Your credit report is missing essential items of information. Perhaps your phone number or address is wrong, perhaps you're not signed on to the electoral roll, maybe your name is spelt incorrectly. Once you've identified the problem, then you can work on fixing it! Obviously, the solution here will depend on what your problem is! If your credit report shows that you have bad credit and you know this to be true then don't panic. You need to improve your credit before again applying for credit. This isn't as difficult as it may sound, though it will probably take a few months before you're back in decent shape (depending on how bad your credit actually is). Improving your credit is easiest by simply paying off all the bad debts that you have and then paying off your bills and credit cards on time every month. Unfortunately, this isn't possible for everyone and you will need to make sure you start budgeting accordingly. If you have serious debts, then there is help available to you in the form of a Debt Management Plan. If you think that fraud or identity theft has occurred, that someone has, for instance, been taking out credit cards in your name, then again, you'll need to report this to the appropriate credit agencies. Simply use the links in the paragraph above to do this. Again, you will probably need to prove yourself. However, once this is done, the credit agency can then put a warning against your name with CIFAS (a fraud prevention service). 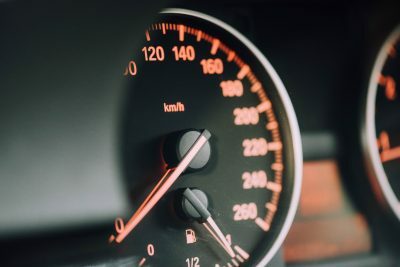 This should mean that the fraudulent charges no longer count against you when applying for credit, but do be aware that companies may take longer to approve credit (since they'll need to contact CIFAS for a full report), or they may ask you for further information before approval. Missing or incorrect information is easily dealt with. Again, all you'll need to do is contact the appropriate credit agency to change what needs to be changed. Use any of the above links in order to do that. If you are not signed onto the electoral roll for the UK and you are eligible to vote, then signing up is simple and takes only a few minutes. You can sign up here, and your credit rating should improve (since being on the electoral roll is seen as evidence that you are who you say you are, therefore lowers lending risk). Can I Do Anything BEFORE My Credit Improves? Source money from elsewhere: A loan from family or friends perhaps. Get a guarantor: Some companies will allow someone else with a better credit rating to act as a guarantor for your application. Look at other options: Credit Unions often have less strict conditions for lending than banks, for example, and some mobile phone operators offer no credit check contracts or sim only deals that don't require a credit check. Having credit denied can be a blow, but it doesn't have to mean that you'll never be approved for credit again. With a little research and a little time, you can improve or fix your credit score, meaning that next to you apply you should get that all-important approval.